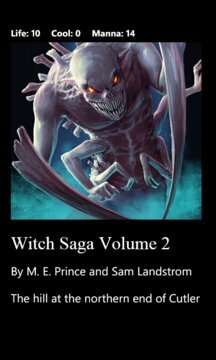 Volume 2 of the thrilling Witch Saga series! You play a witch on the trail of an evil and powerful artifact. Can you make it to the end of this interactive novel? With over five million downloads on Windows Phone and some of the highest ratings on the store, interactive novels from Delight Games are providing a new twist on reading and helping to make novels addictive to a new generation. This is like nothing else on the Store. Download it and see for yourself!